I went astray. Often, it has a negative connotation. It means that we have chosen the evil paths of this world. We have become adulterers, liars, thieves and murderers, by the standard of this world. But, a Christian life has a higher standard. We may not do any of these things that are considered evil in the eyes of the world; actually we may be living a moral life, yet in the eyes of the Lord, we may have gone astray. Isaiah 53:6 says, that each of us have gone astray and the prophet goes on to explain that – each of us turned to his own way. Now, nowhere it is said that our own ways are evil and immoral. But just simply that we turned to our own ways. We turned away from the Way, from Jesus Christ and we have gone astray. 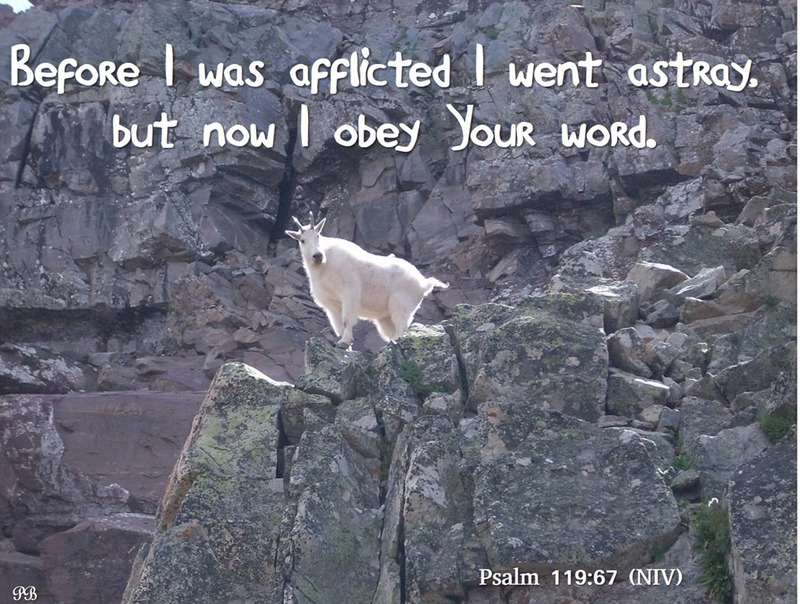 Sometimes, we hear the voice of the Good Shepherd and realize that we have left His guidance and turn to His ways. But at times, we become strong headed, as in our eyes, there is nothing wrong in the way we are travelling; actually everyone is telling us how good we are and how we have chosen wisely. And, to abandon all that and to follow the voice of the Lord, actually, looks like foolish and we are worried about what others would say… and then the tender hands of our loving Father afflicts us in a sweet manner… now we obey His Word. Oh, heavenly Father, thank You for Your infinite love and mercy. We thank You for giving us Jesus Christ, our Good Shepherd. We also thank You for Your loving hand that afflicted us, so we realize the folly of choosing our own ways over Your way. Now, we obey Your Word. Thank You. Through Your Son and our Saviour, Jesus Christ. Amen.